The positions of the gahambars in the Y.A. calendar are not easy to explain and have been the subject of much discussion. If the Y.A. year originally (i.e. at the time of its official adoption and the institution of the intercalation system) began with the vernal equinox and the month of Frawardin, the gahambar of hamaspathmaidyem would have then fallen on the last day (or days) of winter, but then maidyoshahem (or the midsummer festival) with its traditional place on 15th Tir would not have corresponded either with the middle of the well-known summer of three months or with the middle of the bigger summer of six months, i.e. the brighter and warmer half of the year from the vernal to the autumnal equinox. The explanation proposed by Cama 49 for the apparent lack of harmony in the arrangement of the places of the gahambars in the year, which was considered for some time by most scholars to be satisfactory, is also open to some objection. Cama tried to find the solution of this rather peculiar arrangement by ascribing the institution of the different gahambars to different periods. According to him, in the early times, when the year was divided into two parts only, namely a summer of seven months and a winter of five months, four gahambars, viz. maidyoshahem, ayathrem, maidyarem, and hamaspathmaidyem were created as the feasts of the middle and the end of the said Avestan summer (hama) and winter (zyam or zayana) respectively. But the other two, i.e. maidyozarem and Paitishahem were introduced in later times after the well known four seasons of the year, each of about three months, had come in use, thus marking the middle point of the spring and the end of the summer (of three months) respectively. Apparently Cama also believed that the Mazdayasnian year began originally on the vernal equinox, as his explanation of the places of maidyozarem and paitishahem shows. That the maidyoshahem originally corresponded, as is implied by the literal meaning of the word, to the middle point of the Zoroastrian summer of seven months is, no doubt, indisputable,50 though this "Zoroastrian summer" meant only the 210 days' interval between hamaspathmaidyem and ayathrem, without implying by any means a stable correspondence between the first of these two gahambars and the day immediately preceding the vernal equinox. It is also true that the gahambars were not all instituted simultaneously. Also it must be admitted that in the later Sasanian times, as well as in the early centuries of Islam, the original position of the vihêjakîk month Frawardin considered as corresponding to the first month of the spring.51 But as stated above, this theory of the first day of (vihêjakîk ) Frawardin being on the vernal equinox does not agree with the statement of the author of the Bundahishn regarding the increasing of the night and decreasing of the day from maidyoshahem onwards, or with the epithets given to the gahambars in the Avesta (Visperad, 1.2; 2.2). Maidyoshahem is described there as the time when the mowing of the grass takes place, paitishahem as the time of the harvest of the corn, and ayathrem as the season of driving the cattle home from summer pasturage (i.e. the time of retiring from the field into winter dwellings) and of the mating of the sheep (also Yasna, 1.9, 2.9, 3.11, 4.14). If these gahambars were originally celebrated, as the equinoctial theory of the new year implies, on the 150th, 180th, and 210th days after the vernal equinox, which dates correspond roughly to the 3rd July, 16th September, and 16th October respectively in the Gregorian calendar, the seasons would have been too far advanced in Iran for the agricultural and pastoral occupations attributed to them to have been carried out, as Marquart rightly pointed out in the case of the two latter (Untersuchungen, p. 205). Therefore we may reasonably hold to the description of maidyoshahem in the Bundahishn as the starting point of the shortening of the days and the lengthening of the nights, and put it on the summer solstice or the middle point of the longer summer (the warmer half of the year). We may also at the same time admit as correct the place given to this gahambar in the Mazdayasnian year in the Avesta, namely 15th Tir (Afrin Gahambar 7-12, Wolff's translation of the Avesta, p. 303).52 This agrees also with the place given to it in the Bundahishn, except that the latter book is less strict when it places the beginning of the shortening of the diurnal arc on the first day of the five festival days (11th Tir) instead of the last (15th), which is the real gahambar day. Undoubtedly it was these considerations that led Roth 53 to suppose that the beginning of the old Iranian year (1st Frawardin) was originally on 8th March (Gregorian), and Bartholomae,54 Geiger,55 and others have followed him in this supposition.56 This comes to thirteen days before the vernal equinox. This was the position of the Y.A. year in the third quarter of the fifth century BC. This theory explains satisfactorily many difficult points mentioned above, relating to apparent anomalies, and it agrees with almost all our data on this matter. The only remaining difficulties are in: (1) the passage of the Bundahishn indicating the equality of the length of the day and night at the time of the festival called hamaspathmaidyem, to which reference was made above, and (2) the meaning of the word maidyozarem, which is supposed to be mid-spring. Both these points, if they cannot be otherwise explained, may imply that the year began on the equinox, and could be advanced as evidence in support of that opinion. L. Gray tries to explain this inconsistency in the tradition by supposing that "the year originally began with the vernal equinox, and solsticial festivals were introduced later when the actual beginning of the year had receded by thirteen days (i.e. to 8th March)".57 But as the gahambars had nothing to do with the civil (Oshmurtîk) year before AD 1006, and as their places were fixed in the vihêjakîk or fixed religious year, they must have been established in the places given in the Afrin Gahambaraccording to their positions in one particular year, and not according to their individual positions in separate years. For if the place of Maidyozarem had been originally, on the forty-fifth day after the vernal equinox, it would have fallen on 28th Ardwahisht, when the beginning of the civil year had receded thirteen days in the tropic year. The statement as to the equality of the day and night on hamaspathmaidyem occurring in the Bundahishn was in all probability due to a misunderstanding caused by the later popular belief in the equinoctial beginning of the original year, an opinion possibly having its origin in Zoroastrian mythology and cosmogony, as already stated, which also, in its turn, may have been influenced by the Babylonian zagmûg.59 As to the meaning of maidyozarem, even if it could be proved that the word zaremaya means spring, it is by no means certain that it represented strictly the astronomical spring. This is very unlikely, since such a notion (the division of the year into four equal parts as it is at the present day) hardly existed among the Avestan people.60 It may rather have been a name for the earlier part of the Avestan summer, which was seven months long, from hamaspathmaidyem till ayathrem. In the long interval between these last-named festivals some other holidays for rest and offering, besides maidyoshahem in the middle, may have been considered necessary. Therefore the forty-fifth day of this interval or the end of the first three units 61 of time reckoning was added to the already existing season festivals, and it was made a holiday of the season of milk, honey, and juice. Thus this gahambar was probably instituted much later than the other gahambars, just as the Indian vasanta (or vasara) was most probably introduced later than the other seasons. This Iranian festival which was celebrated sixty days before the summer solstice and corresponded to 24th April (Gregorian), was called maidyozarem or (roughly) the middle-point of spring in the popular (and not astronomical) sense of the word, i.e. the season of the revivification of nature and vegetation.62 It is curious that Thuravâhara, the name of the Old-Persian month, corresponding to the second Babylonian month Iyyâr, means also mid-spring, and that in 441 BC, when according to our conjecture the Y.A. calendar was made the official calendar of Persia, the first day of this month coincided with the 15th day of Ardwahisht, which has been stabilized as the vihêjakîk day of maidyozarem in the Mazdayasnian year.63 It must also be noted that the spring in most parts of Persia is very short and that the weather changes from cold to excessive heat with a short interval between the two. The truth about the Old-Avestan season festivals is that although they had their fixed places in the tropic year, they had nothing to do with the well-known astronomical four seasons now in general use. None of them is based on one of the four main points of the tropic year (equinoxes and solstices) except maidyoshahem which, as the beginning of the year, corresponded in principle to the summer solstice and was the fundamental point of the year and the basis for the calculation of all other seasons. Maidyarem was not the name for the winter solstice, but since it was the middle point of the year, which is the meaning of its name, and came 180 days after maidyoshahem at the beginning of the second half-year, it fell naturally on (or strictly speaking about) the opposite solstice or the second pole of the year. Then counting backward and forward from maidyoshahem,64 the point 105 days or seven fortnights before it was made the first day of the Avestan summer, and the day preceding this last point was made a season festival called hamaspathmaidyem as the end of retirement, or the end of the off-season, and the beginning of outdoor or field work, and in the same way the point 105 days after maidyoshahem was considered as the end of the summer (the festival of ayathrem). Thus the Avestan winter began, in the same way, seventy-five days or five fortnights before maidyarem and ended seventy-five days after it. Consequently maidyoshahem became the middle point of the Avestan summer of seven months (mid-summer) which now had three festivals: one at the beginning (or, rather, the day preceding it), one at the end, and one at the middle. The winter, being shorter, was divided in two equal parts forming only two yâiryas (gahs), but the summer, being longer, a further division took place 65 and two more festivals were created, viz. the festival of the harvest (paitishahem), seventy-five days after maidyoshahem, and the festival of high spring or the season of milk, butter, honey, and blooming countryside (maidyozarem), sixty days before it. 3. The Mazdayasnian tradition, though it ignores the earlier Achaemenian kings before Artaxerxes I (Longimanus), refers many times to the latter monarch (Ardashir diraz-dast) and his successors as good Zoroastrians. According to the Vohuman Yasht (II, 16-17), this king "makes the religion current in the whole world".77 Jackson in his Zoroastrian Studies (p. 168) says that "concerning the later Achaemenian rulers everybody is agreed that Artaxerxes I, II, III and Darius Codomannus were true adherents to the faith of the prophet of ancient Iran". Therefore it is certainly reasonable to presume that the adoption and official recognition of the Mazdayasnian calendar was the work of the first Zoroastrian king of Iran. 4. The feast of Mithra or baga 78 was, no doubt, one of the most popular if not the greatest of all the festivals in ancient Iran, where it was celebrated with the greatest attention. This was originally a pre-Zoroastrian and old Aryan feast consecrated to the sun god, and its place in the Old-Persian calendar was surely in the month belonging to this deity. This month was called Bâgayâdi or Bâgayâdish and almost certainly corresponded to the seventh Babylonian month Tishrîtu, the patron of which was also Shamash, the Babylonian sun god.79 This month was, as has already been stated, probably the first month of the Old-Persian year, and its more or less fixed place was in the early part of the autumn. The feast was in all probability Old-Persian rather than Old- or Young-Avestan, and it was perhaps the survival of an earlier Iranian New Year festival dating from some prehistoric phase of the Aryo-Iranian calendar, when the year began at the autumnal equinox. It was connected with the worship of one of the oldest Aryan deities (Baga-Mithra), of whom traces are found as far back as in the fourteenth century BC. The fact that Mithra and similar ancient deities are not mentioned in the Gathas, that they are strangers to the original and pure religion of Zoroaster, that even probably they were considered by this religion as Daevas or demons, and that they were admitted into the Mazdayasnian religion only in later times as lesser divinities of the Iranian pantheon,80 their hymns having been incorporated into the "recent Avesta", might support this thesis. The month Bâgayâdi was certainly the month in which the feast of Baga usually or often fell. It was on the 10th day of this month in the year 522 BC that (according to the Behistun inscription, i, 55) the Magian usurper Gaumata was killed by Darius and his associates, and his illegitimate rule was overthrown. According to Herodotus, iii, 79-80 (Rawlinson translation, vol. 2, p. 393), this day was celebrated later each year as the feast of Magophonia or the day of slaughter of the Magi, on which day the Magians did not dare to show themselves abroad. He says that "the Persians observe this day with one accord, and keep it more strictly than any other in the whole year. It is then that they hold the great festival, which they call Magophonia", and he asserts that "this day is the greatest holy day that all Persians alike keep" (AD Godley's translation, vol. ii, pp. 103-4). It is very probable that the day chosen by the conspirators for carrying out their plot against the usurper was the same day as the great national feast of Baga worship, when the court was expected to indulge in pleasure and was less on its guard. We may, therefore, conclude that the Magophonia of Herodotus (and Ctesias) and the festival of Baga worship (or *Bagayâda according to Marquart's deduction) was in 522 BC on one and the same day, owing to the said coincidence of dates, as Gray is inclined to suppose.81 But there is no need to assume that the two words were identical, the former (Magophonia) being a misunderstood or misspelt form of the latter (*Bagayâda) as Marquart has proposed. As a matter of fact, the tenth day of Bâgayâdi which corresponded to the tenth or eleventh day of the Babylonian Tishrîtu was in 522 BC on or about autumnal equinox. The tenth day of Tishrîtu was in that year the 29th of Julian September,82 whereas the equinox was on the 30th of the same month.83 If Gaumata was killed on the eve of the festival, this latter can be supposed then to have been on the 11th of Bâgayâdi, i.e. exactly on the day of the equinox.84 Therefore it seems to me reasonable to suppose that the great feast of Baga with which the later (Y.A.) mithrakana and the modern Mihragan or mihrjân was certainly identical, was originally the day of the autumnal equinox. This equinox must then necessarily have fallen on the 16th day of the Y.A. month Mihr (the seventh month), at the time of the adoption of that Old-Persian festival in the new Y.A. calendar. This was, as a matter of fact, exactly the case in the years 445-442,85 when the first of Frawardin was on 17th March, or ten days before the vernal equinox, and the autumnal equinox on 28th September. It was most probably about this time that the *bagayâda feast of the Old-Persian calendar was taken into the Y.A. year and was renamed Mithrakân. It is very natural to conjecture that this adoption was part of the calendar reform through which the Y.A. calendar replaced the system of the Old-Persian time reckoning. Thus again the Mazdayasnian month containing the feast of Mithra-baga was named after that deity Mithrahe-Mihr in the Persian calendar, and for the same reason the corresponding Armenian month bore the name of Mehekân, the Cappadocian month that of Mithri and the Khwarazmian month that of Omirê. The Sogdians, however, kept for this month in their parallel calendar a form of the Old-Persian name, calling their seventh month bagakânc (Arabicized faghakân). It is a curious fact that many of the feasts connected with, and owing their origin to, the solar seasons and astronomical points of the year, have been transferred to the vague year, being detached from the tropic or fixed solar year, and attached to the civil year. Consequently they have remained in their original places in the latter, free from the effect of intercalation, and have receded against the tropic year about one day each four years. But though they have lost their true and original significance, nevertheless they continued to be celebrated always as marking the points they had originally occupied at the time of the official introduction of the Mazdayasnian calendar.89 Besides Mihragan, Tiragan, and Gâv-guthil (?) we have in the Persian feast Sada, in both Adar-jashn, in Ajgâr and two or three other Khwarazmian festivals, as well as perhaps in the Sogdian Mâkhîrajs and `Amas khwâreh (?) = ### (all described by Biruni), the same phenomena. This means that they are symbolic festivals surviving to mark the original seasonal points of the year, but no longer corresponding to them. Biruni distinguishes these feasts from the true season-festivals by calling them non-religious and the latter religious feasts.90 In spite of losing their original significance, the former have kept curiously enough some traces of that character.91 The Sada even literally has preserved the meaning relating to the original place of that festival, for the word means "the hundredth", and it was so named because of its having been originally on the hundredth day of the Zoroastrian winter which is five months, from the beginning of Aban to the end of Spandarmad. This feast was on the first day of the last third of winter, corresponding originally to 20th January (new style) 92 which is the first day of the second month of the astronomical winter (Aquarius) and the beginning of the severest part of the cold season in Iran. The Pahlavi commentary of the Vendidad (i, 4) expressly says that the month Vohuman (of course, the vihêjakîk month) is the season of the severest cold and that it is the heart of the winter. The above facts prove that the Sada, contrary to Biruni's statement (AB. Istanbul complete manuscript), was not instituted by Ardashir, but was rather a feast of much older origin. 5. The date of the second reform of the Y.A. calendar when the New Year's Day was fixed near the vernal equinox, and the practice of the intercalation of one month each 120 years was instituted, is more likely to have been a year on which the beginning of the corresponding Babylonian year (rêsh-shatti) or the great feast connected with it (Zagmûg-Akitû) fell not far from the same equinox. Out of the years in the first decade of the second half of the fifth century BC, which are more or less suitable in other respects, only the years 441, 446, and 449 agree with this condition. The Babylonian New Year's Day in 441 was only four days after the equinox day (30th March), in 449 it was three days after that point (29th March), and in 446 it coincided exactly with the first day of Spring (26th March). In each of the remaining seven years the interval between the two (Zagmûg and the equinox) was much longer. For example in 443 this interval was twenty-six days. Of the three years suitable in this respect, the year 441 possesses other advantages also, as we have seen. Moreover in 441 the Babylonian New Year's Day, if it did not fall on the real equinox, corresponded according to their own compilation, to their conventional equinox, which was probably also fixed in the same year on the 30th March. 6. The feast of Mihragan was, in almost all Persian and Arabic literature, always generally considered as the first day of autumn. There are innumerable examples of this, which would take us too far afield to quote here. This is not only the case in the writings of the later part of the eleventh and the earlier part of the twelfth century of the Christian era, when Mihragan had reached again to the first weeks of autumn, but also in much easier and later periods one meets with the word used in the same meaning. This popular meaning given to the word and the feast is, no doubt, reminiscent of its original place. 7. The Frawardigan feast (Pahlavi Fravartîgân) or the feast of manes celebrated in memory of the dead, when according to the Avesta and the Zoroastrian literature the souls of the pious people (fravashis) visit their former homes, must have been since the composition of Yasht 13 of the Avesta, at least, identical with the gahambar of hamaspathmaidyem near the vernal equinox. The gahambars, though probably only one day originally, were from time immemorial celebrated for five days by the Zoroastrians, the four preceding days being added to the principal feast day, as we find in all Mazdayasnian traditions, but none of them were more than five days. Now if hamaspathmaidyem and Frawardigan were both originally the same as one of the gahambars, as this is implied by the above-mentioned verse of the Avesta, then how is this fact to be reconciled with the assigning of ten days (or strictly ten nights) in the Avesta (Yt. 13.49) for the "flying of the souls all around their villages" and with the traditional practice of the Zoroastrians, who celebrated the feast of manes (Frawardigan, or perhaps more correctly Fordîgân) for ten days not only from the Arab invasion up to the present day, but also in the Sasanian period? 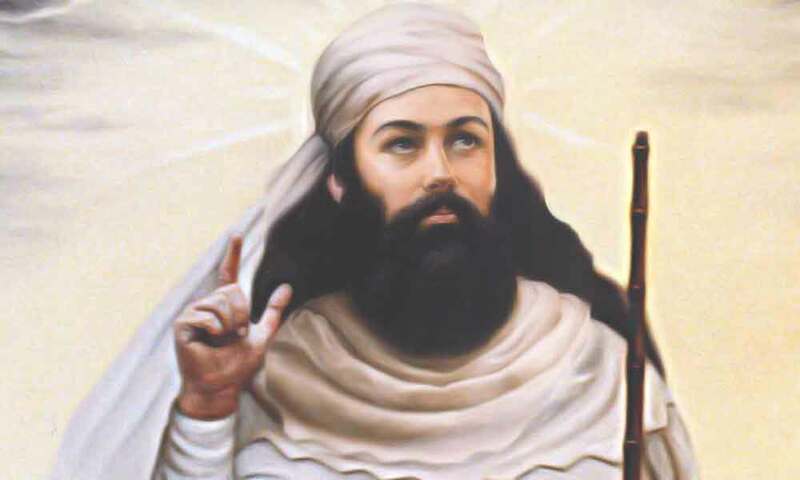 100 Biruni tells us that a controversy having arisen among the Zoroastrian, as to which of the two pentades, the last five days of the month preceding the Gatha days or the latter group itself, was the real Frawardigan, they decided to add both fives together and to make the Frawardigan ten days, and thus this feast became, by compromise, longer than it originally was. He states further that the second five, i.e. the Gatha days or Andargâh has superiority over the first. This controversy, if it really took place, could hardly have occurred after the composition of the Frawardin Yasht, which, as stated above, mentions the ten days of the souls' visit. The question can be solved without much difficulty if we suppose that the final composition of Yasht 13 was posterior to 441 BC, which supposition, owing to the fact that the reverence of fravashis was in all probability a part of the popular belief admitted later into the religion, rather than of pure Zoroastrianism, seems to be reasonable. We may then assume that the feast of hamaspathmaidyem which was in the last days of Spandarmad or of the Avestan month corresponding to this perhaps later name, was mainly a rural festival placed towards the end of the winter and immediately before the Avestan "summer," and that it was perhaps connected at the same time with some offering, liturgy, or some sort of religious ceremony (possibly also some remembrance of the dead), but that Frawardigan was the name of the five supplementary days of the year introduced on the model of the Egyptian epagomenae when the Egyptian system was adopted and the Y.A. calendar replaced the Old-Avestan. Accordingly these epagomenae called also Andargâh, Gatha days, Panjak veh, Dûzîtak, Turuftak and Panjeh Duzdîda (Arabic al-khamsat al-mustariqat) were originally at the end of the month Adar and immediately before the month Dai, i.e. exactly where the Egyptian supplementary days stood. These days were consecrated, as they were in Egypt, to the reverence of the souls of the departed faithful (fravashis). Later, when through the second reform (about 441), the epagomenae were transferred to their well-known place between the end of Spandarmad and the beginning of Frawardin, some doubt may have arisen as to the question of the celebration of one of the two consecutive pentads as the Fravashi's feast. To avoid any negligence in religious duties, the religious authorities may have added both together and made the Frawardigan ten days.101 The divergence of opinion on this matter, however, did not cease, if one is to judge from the different descriptions given in Pahlavi, Arabic, and Persian books.102 However, the later sources such as the Bundahishn and Biruni's books consider the last five days of the year, i.e. the Gatha days, as the hamaspathmaidyem gahambar and also the real Frawardigan perhaps contrary to their origin but as a natural consequence of the 6th gahambar coming necessarily immediately before Frawardin.